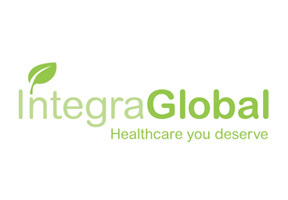 Integra Global is a health plan designer that specializes in plans for expatriates. With its headquarters in the United Kingdom, Integra Global has offices in Germany, the US, and many countries throughout Asia. The Russia health plans from Integra Global are underwritten by LAMP insurance company, an organization that has a strong financial backing and an A+ rating from Standard and Poor's. Thus, purchasing an international health plan from Integra Global will allow holders to receive a comprehensive cover for in-patient and out-patient services. The plan also may provide full cover for chronic conditions. The company maintains a 24/7 hotline for its members, enabling the most efficient help should the client need to administrate claims urgently or on the go. In addition to this, the Russia medical plans from Integra Global are usually portable, enabling the holder to relocate with the plan anywhere in the world. If you would like to get more information about Integra Global in Russia, please fill in the query form at the top of this page. Alternatively you may contact us in order to seek expert advice directly from our knowledgeable Russia Health Insurance consultants.